My initial thoughts were not spoon but more along the lines of that infamous Speed steel from a few years back. Still fecking awful though, the wait goes on for a decent Matrix steel. - maybe with their advanced understanding of the Matrix, they should have used a fork on RELOADED and a knife on REVOLUTIONS to complete the Matrix Cutlery trifeca. That is a 100% REAL poster, used in African cinemas. Imagine the trilogy collection artwork! Oh and that got me thinking, it would be nice to see Animatrix separately. Even though i doubt they'll ever do that. Guessing the backs will be black with green vertical code stripes. Updated the release date for all three releases in there OP’s. I think I’m going to get these instead of the 4K trilogy release. Only hope is a premium company takes up the challenge. For me the ideal would be a trilogy release with the falling code on the cover only. We all know it’s the Matrix FCOL. If we were playing charades - would SPOON, KEYS, PUDDLE be the clues that would lead you to say- "OH! THE MATRIX!!!"??!!! Anyone need help with this 1? Considering a group buy. Someone on reddit got theirs early. Back artwork looks awesome. I definitely need this and the other two. 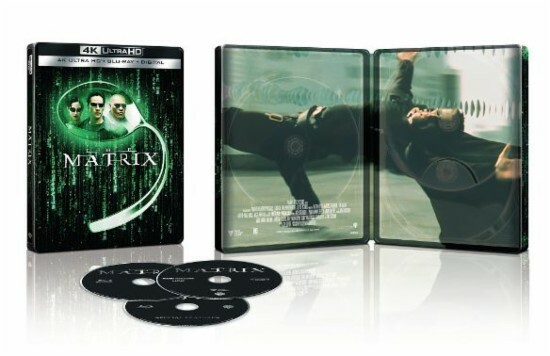 The Matrix in 4K has gotta look fantastic. Also these have dropped in price and are now $29.99. These seem much more scarce than I thought they would be. Non available at my local store when they opened. Thought it was kind of odd that online pick up never went live for my local store. Cool back art that flows on all three certainly adds considerably to the decent front art . 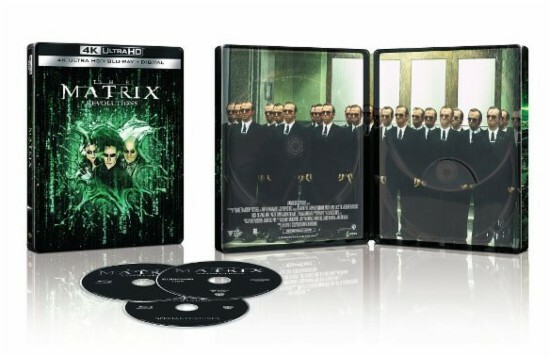 . . admittedly always preferred the green and black colours for THE MATRIX to the blue we got recently in the UK and liking the way they've kept the same colour scheme throughout. I can do a special request for you when they come back for shipping. If you are willing to pay in advance, I'll get you a invoice and will source them when I can. This might be a "Hocus Pocus" situation. I wouldn't lose hope yet - don't go to e-bay - sit tight for a week or two and watch Best Buy. These turned out pretty nice. Not the typical cheap matte finish that US steels have a reputation for. Nice use of spot gloss on them as well. Definitely turned out better than I thought they would considering it’s WB.